FOR SUBSCRIBERS TO WALTERLIPPMANN.COM’s blog only. 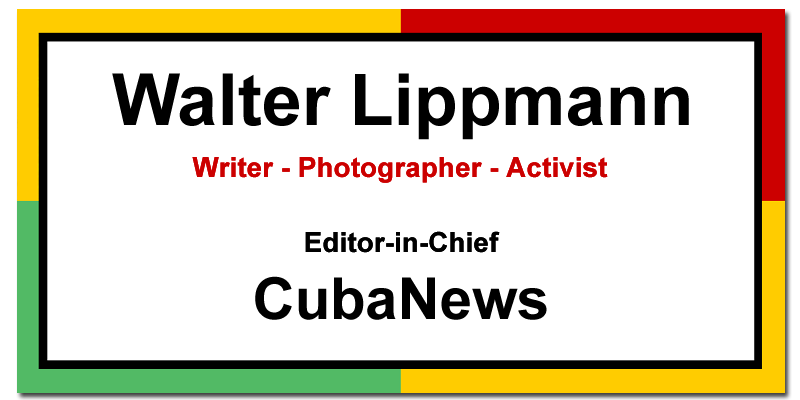 I’m about to post some older materials from the CubaNews Yahoo News Group, and some other materials which were first posted to Facebook, just collecting previous postings in one convenient location: my website. If you’ve not seen them before, I hope you’ll enjoy them. If you have, the same applies. I’m writing this so when you receive things from last year or the year before, it’s not because the mail was late. I’m just posting it here now. 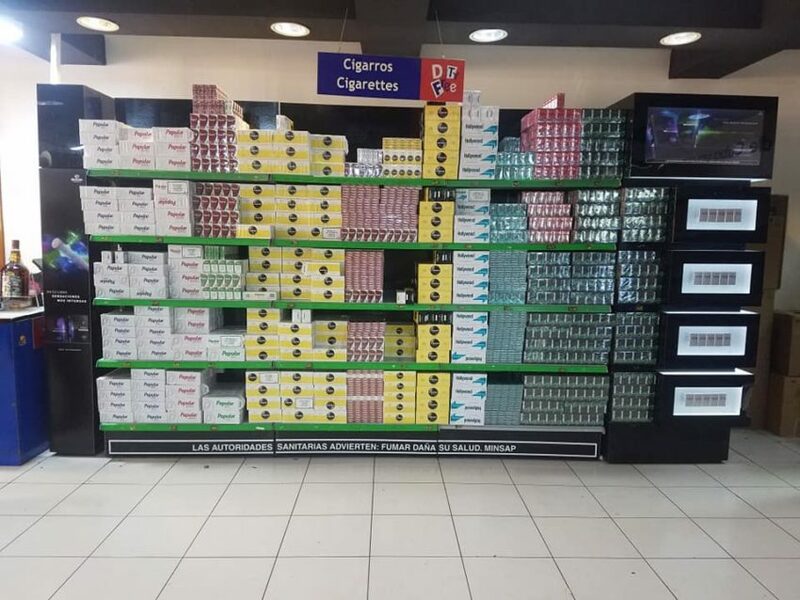 These are Cuban cigarettes, not at the duty-free, and you’ll notice the price is 6 cuc for a carton, that is 10 packs and other words 200 coffin nails. The plane has been called for boarding so I’m going to go now I’m not sure if I’ll be able to do any more posting from inside the plane. On the way to the airport, I had to make a quick stop at the office of the newspaper Juventud Rebelde. It is located catty-corner from the office of the Ministry of the Armed Forces. You’ll notice the red berets, quite distinctive, which identified them as members of the internal security force within the Ministry of the Armed Forces. Look closely and you will see that this detail includes both male and female soldiers. Okay, perhaps this is a good place to stop recording any more impressions and go line up to board my flight to Miami which leaves in about a half hour. Here I am at the airport. Over a two months nap over a two-month span, I accumulate a massive quantity of books. 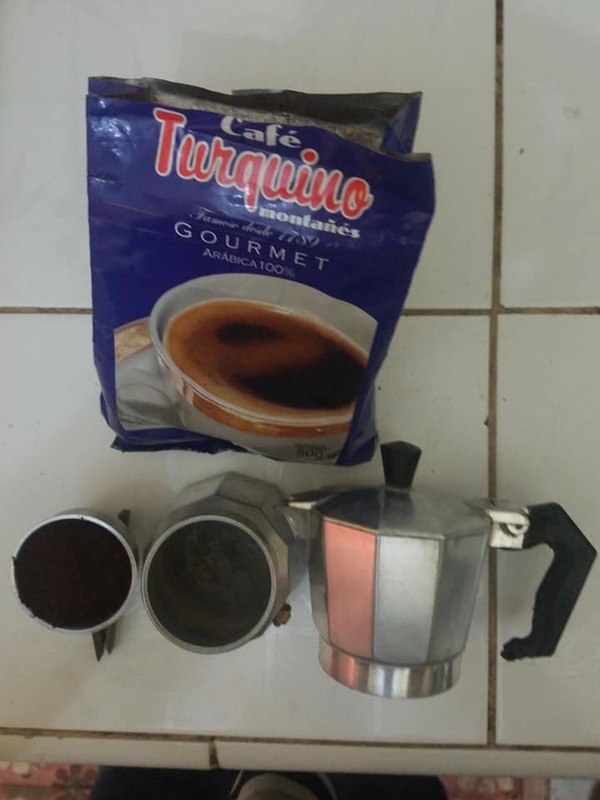 If there’s any space left beyond the books, and the Cuban coffee that I purchase, I sometimes by a few little touristy things to drop my last few see you sees into the Cuban economy. 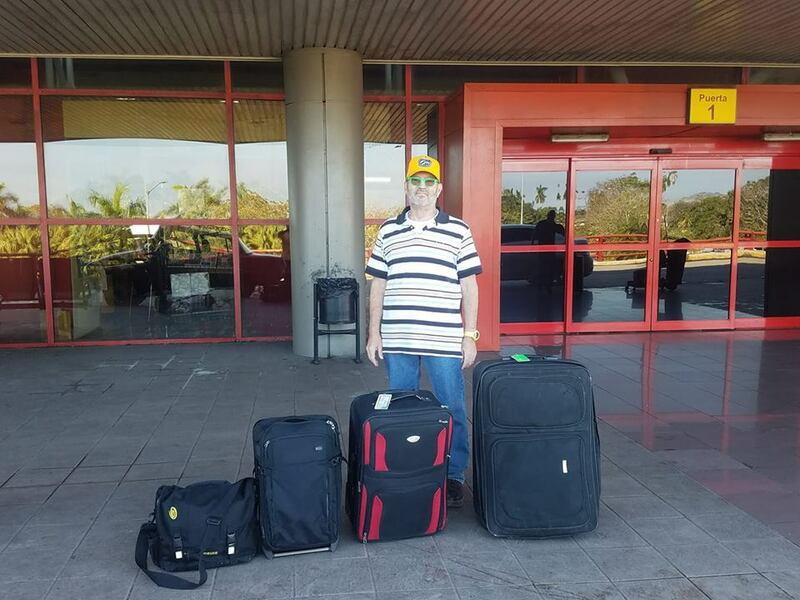 And I am still amazed, as I think about it, that with one suitcase entirely filled with books and others including books and Cuban coffee and those lovely little small coffee cups that we drink are Cuban coffee in, that I paid no overweight, for the very first time in my memory. I think I will always fly American because they give you two checked bags. Getting in here, and going through airport security, was a snap they were just as thorough as anywhere else but it was very easy and the security people were very polite. 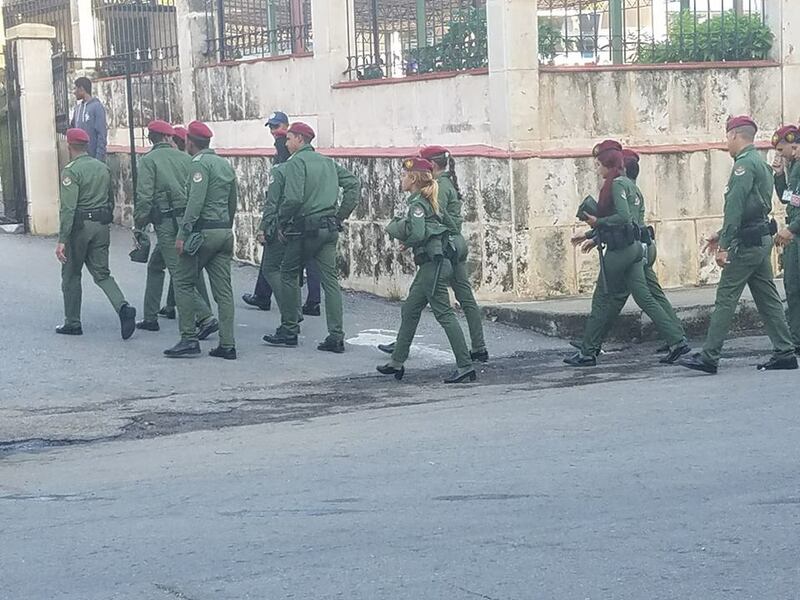 I cannot resist pointing this out, and it’s true in many other Cuban installations as well, that these security officials, the female ones, often wear skirts that measure as much as 8 to 10 INCHES above the knee. 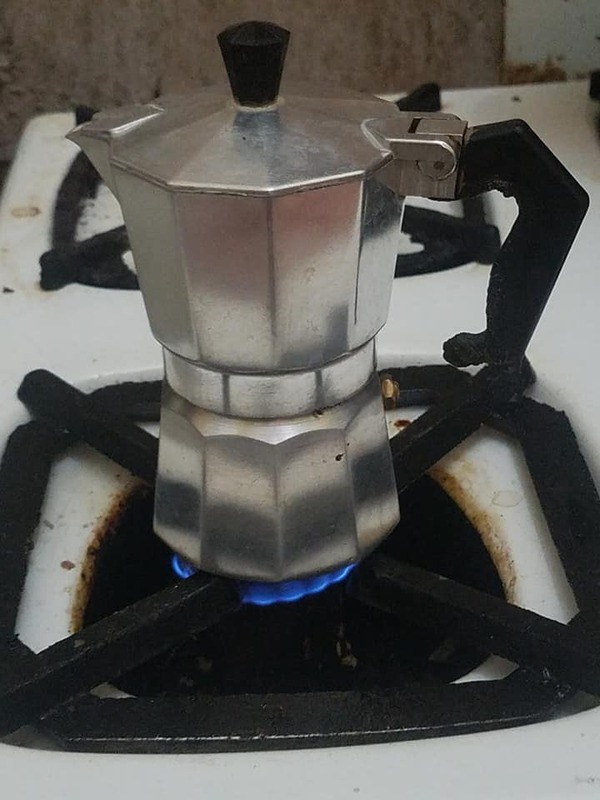 After all these years, I finally have learned the correct way to make Cuban coffee in the cafetera. Here is my final cup being made this very morning. Serrano isn’t around these days, so we’re drinking Turquino. Also very good. These are a few final thoughts after 2 months in Cuba. I may have something else to say while I’m waiting for the airplane to depart. First, the most important thing going on on the Cuban agenda during this period, inside of Cuba, has been the discussion of the approval of a new constitution to govern the islands politics For the next period of time. 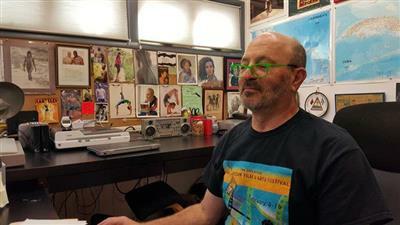 Within the print and electronic media inside of Cuba there is only one point of view: Vote Yes. There is a small negative campaign on the internet, and there are obviously some individuals inside of the country who will vote no, but there has been no active public campaign against ratification of the new constitution. Therefore, there is no reason to believe that it will not pass by a substantial majority. The only question that would be of interest will be how much of that majority it will be and how many people will choose to express whatever protest they have in an electoral form. We will know that within a few days after February 24th. This is not the first Constitution that Cuba has ever had, including during the Revolutionary period, and it’s unlikely to be the last one. Cuban society as a whole, and the legal structure which governs it, is a constant process of development. It is a continuous, uninterrupted, or if you like the term, a permanent, revolution that is going on here in Cuba. There’s no other meaningful way to look at it. Internationally, the number one issue for Cuba is Washington’s attempt to overthrow the Bolivarian Republic of Venezuela and turn it back into a US dominated client regime. That’s the one that Washington has recognized, even though it has no power inside of the nation of Venezuela. Today there is almost never a line to get onto the computers there, because people can do so through their cell phones. And, unlike the past where you had to go to an office which was only open from 8:30 in the morning till 7 p.m. at night you can access the internet 24 hours a day 7 days a week, as I am doing right here in writing this email on my cell phone using the voice texting capability. inflation is certainly affecting the country where wages are basically stagnant but prices continue to go up especially for food but other things as well. 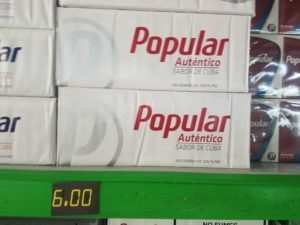 Because everything here is heavily subsidized by the state, the prices that Cubans pay for food is still substantially lower than comprable prices in the United States. In part that’s because here very few people still pay anything for rent. 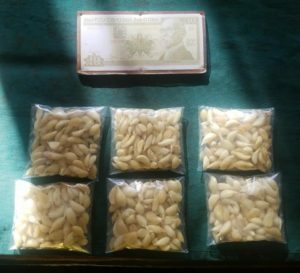 However, even I have noticed the escalating prices of food which is making life even more difficult for ordinary people that it has been all ready for a long time. Cuba is fortunate to have diplomatic, economic, and military allies, but in the final analysis, Cuba must always rely on its own natural resources, the most important of which are the ordinary people who live in this country. Most of them are too young to know anything about life under capitalism so the government makes an effort to give them some idea of what life is like outside of this country. A few years ago, the Cuban government pretty much gave up control over whether or not people could travel abroad, so anyone who can afford a passport, and who can get a visa to go to another country, can now do so with ease. 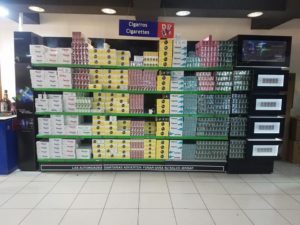 This has meant many Cubans have been traveling abroad, and have begun to get a sense of what daily life is really like in the capitalist world. People that I have met here during my years visiting since 1999, and it had a relatively easy life, although they complained all the time about it, are now finding themselves living outside of Cuba, trying to get by on the minimum wage, having to pay for health insurance, having to pay rent for the very first time in their lives. They are learning what it’s like to be in debt, what it’s like to clean other people’s houses, and to have to pay for their medical coverage. Unemployment, racism, police brutality, these are things which are largely, though not entirely unknown and unknown in Cuba, even though the country has many many problems have become a shocking and somewhat disappointing reality for some who have travelled and begun to live outside of the country. 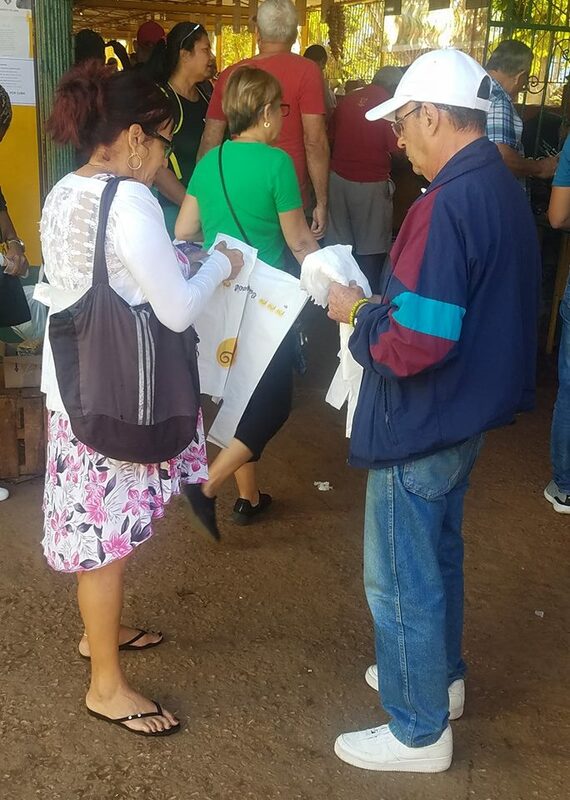 Younger Cubans who did not believe the stream of negative stories in the Cuban media about life under capitalism, have begun to find out through their own daily life experiences that those stories were not exaggerated. Saying all this, does not even remotely mean that the Cuban system and the Cuban government does not have its own responsibilities for many of the problems that are caused here. Corruption is a daily reality which provides a corrosive undertone to life here. But every single one of these problems is made worse by the fact that the United States, with the collusion of its Western allies, does what it can to both sabotage the islands economic relations with the rest of the world. The Trump administration’s threat to allow the full implementation of title 3 of the Helms Burton law, is the latest example of the kinds of threats that hang over this country every single day. In May of this year, there is going to be a Conference held here to take a look at the life and works of Leon Trotsky and his impact on politics. The orientation of the conference is favorable, many people have expressed interest, have been invited, and are planning to attend. I spent many years in Trotskyist organizations, where I learned a lot of useful and helpful material, but picked up a certain amount of ideological baggage as well. Those were good years, and I would not be doing the work that I do, in the way that I do had I not had that experience. Through the Yahoo News Group which I have directed for most of the last 20 years, I have been responsible for bringing out more information from and about Trotsky then any other source in English language world, so I’m very much interested in I’m looking forward to this event. Speakers have been invited from all over the world a few of whom I know and many of whom I do not so it should be an interesting event when it takes place. Most media sources on the political right and in the mainstream establishment have been given the impression that Cuba is nothing but a small island in the gulag archipelago. This impression was magnified, to a certain extent, by the publication, a few years ago, of Leonardo Padura’s extremely depressing novel, The Man Who Loved Dogs. Some people on the political left, including some who even consider themselves left-wing and revolutionary, have echoed a variant of this notion. The island remains under relentless assault by the United States and its allies, who hope to either turn the revolution back or at least make the country as bad an example of what socialism can be as possible. This process has been going on for over 60 years and isn’t about to stop, but under the Trump presidency it seems to be escalating, even more than it has in the past. One thing I enjoy particularly here in Cuba is that for two entire months I do not have to put my hands on a steering wheel. Another thing I enjoy is not having to open up and read the New York Times, the Los Angeles Times. There is information in those publications which I I do enjoy reading, and which I occasionally miss. However, commercial advertising, which is the main reason these publications exist, served in one way or another to glorify life under the private property system, and to try to instill a sense of inferiority and incompetence on anyone who doesn’t have enough money to enjoy all the glories that capitalism has to provide, at least for those who have the money. Friends in Los Angeles tell me that it is cold and rainy, but on the other hand I’m looking forward to the many conveniences which I have in my own very nice Los Angeles home. I’ve lived there for 30 years and I’m very comfortable living in it. Wherever you are, home is still home oh, and there’s nothing else like it. My plan and hope is to try to take a couple of days to relax and rest and otherwise to continue doing the work that I do. This is to provide a steady stream of reliable information about this wonderful country and to provide translations from the Cuban media into English to help those whose first language is not Spanish, as mine is not, either. Though I’m not a wealthy person, I’ve been very fortunate, and very privileged, to have a decent pension, and not have to struggle every day to make a living, I know people here who have friends and co-workers were still employed in their seventies and even in their 80s, because they have to struggle to get by. The stories of old retirees now working as greeters at Walmart means that this is a generalized phenomenon in many parts of the world up. It would help Cuba, which needs the money that travelers bring, but it would also help people from other countries, to come and get the sense of what it actually is like to live in a society that is a under revolutionary leadership and living under the shadow of a large and hostile next door neighbor who does everything that it can to make life difficult for this country. So Irish people to come and visit Cuba as but as much as possible. At the same time, people should not come to Cuba expecting it to be some sort of paradise on Earth. Anyone who has not been to Cuba before, or who has not come in a very long time, would benefit by reading an essay published a few years ago in the magazine called monthly review. The article was called how to visit a socialist country, and it was written by the Harvard biophysicist Richard Levins. it is at once sympathetic yeah completely sobering unrealistic and provides a good preparation for those who are about to come to Cuba. I try to read it once before I come and once when I get back to give myself a sense of the context in which this country exists and functions, and in many ways thrives in the face of adversity. Yesterday, February 14th, is known as Valentine’s Day or here in Cuba it’s called the day of love and friendship. In addition to avoiding the inevitable preparations for travel and packing, I spent a large part of yesterday going around to see friends, and giving 8.5 by 11 color enlargements of people whose pictures I took, to as many of those individuals that I could find. That was most of them. And everybody was delighted to receive pictures of themselves. You know, people often take pictures of strangers and then leave. I like to give pictures, in print, to the people whose images I have taken them. My ride to the airport is coming to get me in just a few hours, and I still have to put a few more things into my suitcases so that I am ready when they come to get me. I may have a few more things to say while waiting at the airport but I hope you found these thoughts and impressions of interest, and will give you some things to think about. Well, that’s enough for now, I have to go and finish up putting the last things in my suitcases. I have a lot more pictures on a lot more stories to tell, once I get settled back in in Los Angeles. I would like to thank all my friends here new and not so new, and I promise to continue telling stories and sharing photographs and images and impressions of what I’ve seen during my latest 2-month visit to Cuba. These notes are a rough sketch and hardly cover all of the Impressions that I’ve had here but I really think it’s important for me to share these Impressions with you, before I get back into a completely or largely different world in Los Angeles California. I would like to also thank each and every one of you who has taken the time to read these Impressions, and I will be happy to receive any feedback that you wish to share. During this visit, just a few weeks ago, my long time friend, the revolutionary exile, Nehanda Abiodun, joined her ancestors. we used to speak nearly every day during my visits here and she often helped me to better understand the complex reality that this country is. The last time we saw each other was when she attended my 75th birthday party a few weeks ago. I’m truly sorry that she has gone. First, when I left Miami 2 months ago, I weighed 171 lb. This morning I now weigh 165. I am, of course, delighted at this. And, you can trust me, I eat regularly on the street. Second, and perhaps as a practical reminder of many of the ways that Cuba is different from the United States, there was no hot water in the system here today. So we had to heat water in the stove, put it in a big bucket, and carry the big heavy bucket into the shower, where I use a cup in the bucket to shower and shave. It’s about 2 hours now before departure time and, I’m still not quite ready, but I will dress and feel much better with a shower and a shave. If I have more thoughts oh, yes I will add them because I just keep the phone sitting here plugged up and it’s charged 100%. This is one of the areas where the blockade has a real impact. If you did not have to ask permission, or have to qualify under the restrictive qualities of US law, anyone could come to Cuba and anyone could pay for their bills with US dollars or American credit cards. My landlady would be filled more of the time since I am her only long-term guest. As a result of that she might have gotten the water heater fixed or maybe had more tanks for water on the roof. You remember those plastic bags that we used to get for free when we bought things in supermarkets and so forth in the United States? They are now considered to be ecologically unsound and harmful to the environment so in most big cities and markets these bags are banned and you have to pay $0.10 to get a paper bag. Here in Cuba, these bags are easily available. This year, for the first time ever, I’ve noticed inflation has even hit the little plastic bag market. For as long as I can remember they were being sold for one peso a piece and then some places two for one peso. But now, they all go for 2 pesos each. These are packages of butter. Having been in Cuba for two months, I have not found a single pad of butter in any of the stores where I have visited. 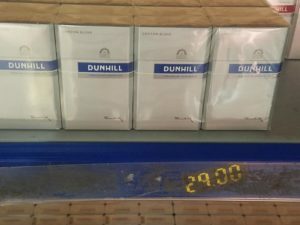 Then, one day, all of a sudden, a young woman showed up at the 19th and B agro market with a box in which she was selling these packages of butter. They are obviously stolen from wherever they were stored or manufactured. They were being sold for $1 a half pound, a little bit more than half the price you would pay in a store, if you could find it in a store, which most of the time, you can’t. 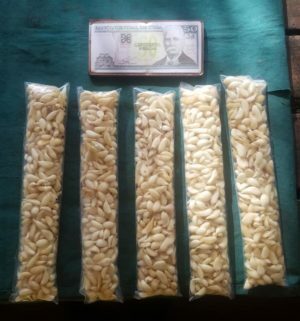 The sale of such stolen commodities is very widespread, and in more or less any such market, people will approach you quite openly asking if you want to buy potatoes, eggs, lobster, shrimp, and, occasionally, beef. Friendly foreign visitors, like myself, like to use it the euphemism “informal sector” to refer to this phenomenon. 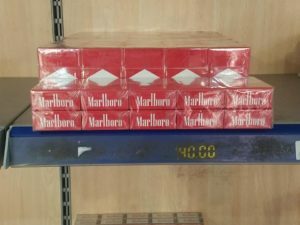 Cubans, on the other hand simply refer to this as the black market (la bolsa negra). Of course, there are no licenses, for selling stolen goods. You don’t like the time trouble and smell of peeling the garlic? No problem. 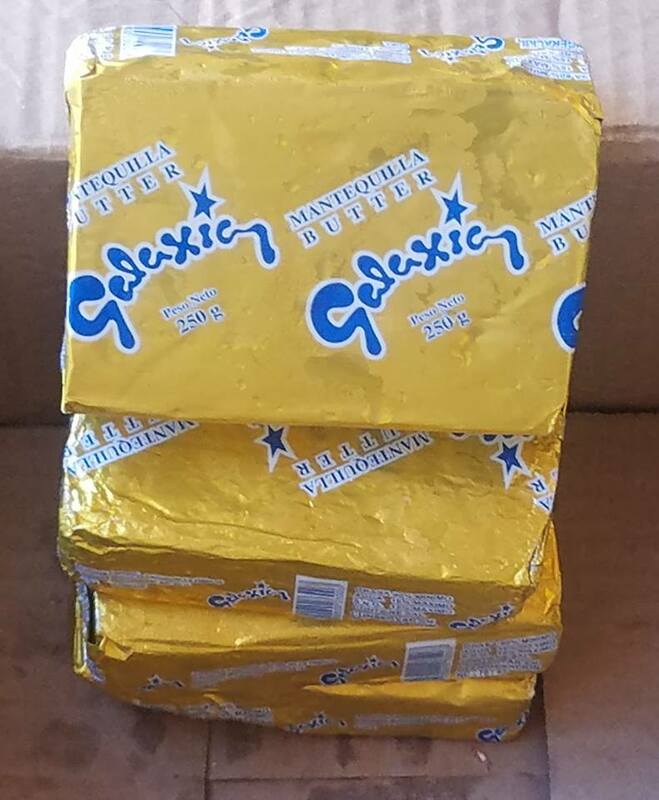 Here they are in small wrapped packages. No need to ask the price this plastic-wrapped 10 peso note tells you. Also good for keeping the vampires away.